Colin F. Diamond is a 2005 graduate of St. Francis High School. 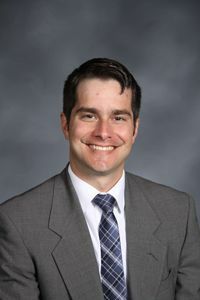 As a student, he was a captain of the 2004 Illinois State Third Place Boys Cross Country Team. He continued his running career at the University of Notre Dame where he graduated with a degree in Political Science and Spanish in 2009. After his undergraduate education, Colin received his Juris Doctorate from the University of Notre Dame Law School in 2012. He started his legal career at the DuPage County State’s Attorney’s Office where he worked in the traffic, misdemeanor, appeals, and felony divisions. Colin gained experience trying a number of jury and bench trials and arguing matters before the appellate court. He joined the Law Offices of Mathys & Schneid in 2016 where he practices personal injury law. Colin is the Boys Track Coach for St. Michael School in Wheaton and is a member of the Knights of Columbus for St. Michael Parish. He enjoys a variety of sports and is involved in a number of charitable activities connected to special needs individuals.